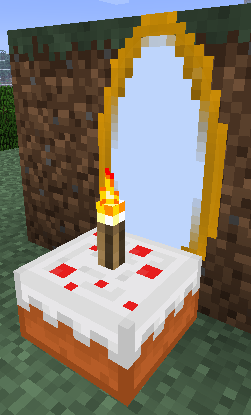 iChun's blog » Happy 5th Birthday, Portal Gun! Happy 5th Birthday, Portal Gun! I’m not one to want to disappoint, but I had tweeted a while ago, not to expect anything too great out of today. So those of your expecting a release today, I’m sorry to have to say that this is just an announcement. I was planning on releasing it today but due to various circumstances, being abroad and unexpected bugs during development being a few of them, the mod is not ready to be published just yet. I won’t be posting an ETA on here though, it’ll be released when it’s done, which hopefully will be Soon™. So, what is this announcement for? I’d like to announce now that Portal Gun is being rewritten. What, again? Yes, again, that’s like the 4th time now. Thing is, last time I did a proper rewrite of Portal Gun, was over 3 years ago, and since then, I have learnt a lot. I’m sure a lot of you have seen Doors, or maybe even the new Gravity Gun, so I dare say a lot of things will be different with the new Portal Gun. Also, since development for this is active, I will also be streaming development of the mod when I can, so if you want sneak peeks, do watch out for them. First off, if you haven’t noticed already from the teaser video, see through portals will be making a return. The last time they were used in Portal Gun was back in Minecraft 1.2.5, and it was written by ChickenBones, but they were removed due to performance issues, so many of you may not have known it even existed. With rendering being a lot more efficient in MC1.8, I tried once again to bring it back, and to do it to my best ability this time round. As of the current development build of the mod it’s still not perfect, but it’s getting there! Doors taught me quite a bit in that regard as well. Next up, next big thing is that you’ll be able to configure your own channels for portal guns. Previously all you had is the default, p-body, atlas, personal PotatOS, and personal bacon portal guns. That left you with only 2 personal channels and 3 global channels with little to no use. That’s gone now and you can make as many channels as you’d like, and they’d all be unique per player. Third, I’m trying to think of the mod of a more “survival” point of view. Portals can now be of various sizes. The smallest being a 1×2 portal, it’s size can be upgraded. At this time I’m thinking of letting the max be of a 5×5. “Why this change? The Portal game didn’t have that!” you ask? Like I said, I’m trying to think of the mod from a more survival PoV. Have you ever found it strange that a 4x4x4 ghast, lightly bumping into a 1×2 portal, suddenly appearing on the other side of the portal? Well, that leads to the 4th point. Fourth, entities larger than the portal will no longer be able to fit through the portal. Gone are the days a where a 2x2x1 spider can fit through a 1×2 portal in the floor. Entities will have to be smaller than the portal to actually fit them now, and frankly, that’s how it should have been to begin with. Fifth, gameplay changes, for starters, no more dungeon loot. That just didn’t make sense, really. Recipes are likely to be changed from before, oh, and also, no more naggy “WIP” items. Yay! Sixth, I want to say that the mod overall works better and looks nicer, but since I’ve not gone to the “prettify” stage of development yet, that can’t be said for sure. Portal Gun turns 5. Portal Gun being rewritten, many changes. Release when it’s ready. Sorry to disappoint. And that’s about it guys, Portal Gun is once again under active development for the time being, and I hope you guys will be happy with it when it’s finally out. Also shoutouts to the many, many people I met over the past 2 weeks whilst I was frantically trying to write this mod on a 2015 MacBook Air (which to my surprise actually supports see through portals). EDIT: As I don’t read the comments anywhere on here, discussion available on Reddit. EDIT2: I also just remembered that grabbing entities have been nerfed and can be upgraded over time to grab tile entities as well. Exciting stuff! Out of curiosity, will there be any changes to the other items in your mod, ie the companion cube or the music discs? As always, love your work iChun! Actually, the Portal games DID have resizing portals, just not as a game mechanic. I don’t remember the console command right now, but you could change the height and width of portals, which affected the collision and visuals of them, and sounds very similar to what you’re saying. Will you be able to remove the borders of the portal? and when will the full version of this mod with lasers and other? full version for 1.7.10 PLEAS!!!!!!!!!!! Looking forward to updating my map to 1.whateveryou’rerewritingitfor. 1×1 portals might actually be interesting for a few puzzles. They wouldn’t need to be the default size, of course. 1×2 would remain the default, but you could probably do something to “downsize” it somehow. Awesome! Glad to know you’re still working on it. We need actual Repulsion Gel. I don’t get how the cyan dye on cubes and turrets makes sense, and there’s nothing much to do with it. Ichun still working on it? 6 MONTHS AND NO UPDATE WHY!?!??!?!?!?!!!!??? Can we hope about 1.10.2 version? 8 months… How many bugs are there?!?!?!?!?!??!?! ?